Domestic Relations: Can My Child’s Stepparent Adopt My Child? 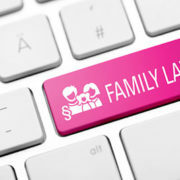 June 16, 2011 /in Family Law /by Daryle C. Tibbs Esq. Daryle C. Tibbs, owner of Tibbs Law Office, begins a new series dedicated to the topic of Domestic Relations. https://tibbslawoffice.com/wp-content/uploads/2011/07/Family-Law-Keyboard-110717-sm.jpg 267 400 Daryle C. Tibbs Esq. https://tibbslawoffice.com/wp-content/uploads/2016/02/logo-300x74.png Daryle C. Tibbs Esq.2011-06-16 10:04:002019-01-06 15:32:33 Domestic Relations: Can My Child's Stepparent Adopt My Child?